A wireless sensor hub for the railways industry is now available for critical system monitoring and diagnostics across multiple industries. 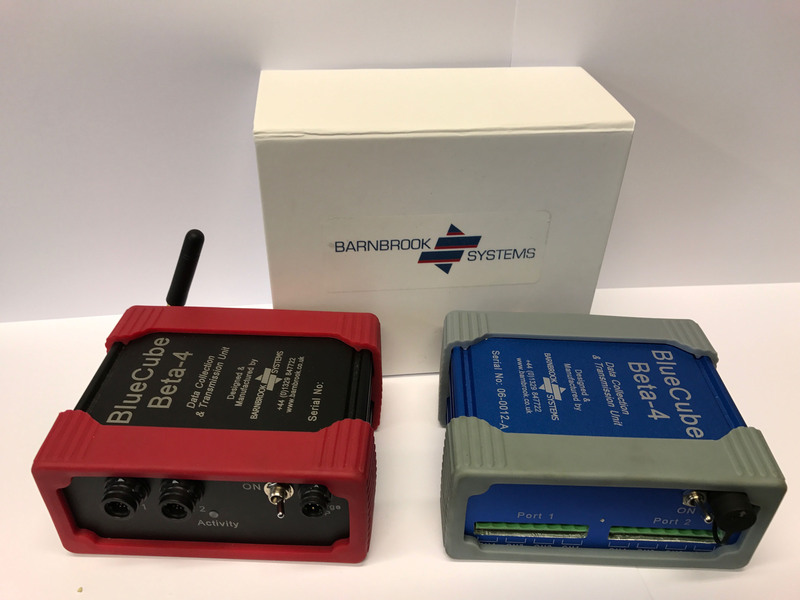 Barnbrook’s Blue Cube wireless sensor hub enables real time data to be delivered remotely to mobile devices and PCs and is now available from Aerco, the distributor and stockist of electrical and electronic components servicing hi-rel markets. Blue Cube is an award-winning wireless sensor system originally developed to monitor the condition of onboard systems in trains, tracking them in real time to make sure they are running efficiently, avoiding delays and cancellations due to system failures. Winner of two major rail industry awards, the innovative Blue Cube wireless sensor hub system with Blue Cube Cloud can now be applied across multiple sectors, including defence and aerospace. This ability to monitor critical systems remotely ensures they remain safe and reliable at all times. The Blue Cube sensor hub is easy to install either as a standalone or wired in system, with up to 8 channels per device, to send data in real time as an SMS or e mail alert via PC, smartphone (iPhone and Android) or tablet. The Blue Cube wireless sensor hub offers six measurement options: voltage, current, temperature/pressure, shock & vibration, GPS for position and tracking, and switch operation. Supplied in a metal enclosure, Blue Cube is EMC tested and approved, so will not impact on nearby devices. Its quick-fit design is inexpensive to install, plus the system is modular and fully expandable. The Blue Cube wireless sensor hub transmits data status updates and GPS information to the Blue Cube Cloud and in turn to user devices including Smartphone, tablet and PCs via PC client, thin client, web browser or App. Blue Cube hardware systems are fully compatible with the iSense Software Suite, which is user and password protected and allows different user profiles to be configured (view only, monitor & reporting; sensor control; system & sensor health reporting and diagnostics). All data is analysed against key data parameters, with alerts sent to the customer alone or monitored via 24/7 enterprise managed services. The standard Blue Cube monitoring system comprises the Blue Cube data collection/transmission unit, an external GPS antenna and external GSM antenna, the Blue Cube I/O connectivity unit with 4 switch input ports, 3 analogue current ports and the Red Cube 9-32VDC trickle charging unit complete with connection cable to the Blue Cube. There is an option to re-package standard off-the-shelf Blue Cube solutions into custom housings for specific applications and more information on this option can be obtained from Aerco’s Design Support service.